Did you give it your all? Did you challange yourself ? Did you put the weight down before time ran out? Did you jog when you could run? Did you expect regular effort to yeild exceptional results? Did you listen to that voice that says “good enough” or the one that walked you through the door in the first place? “Our bodies are our gardens to which our wills are gardeners” William Shakespeare. I’ll always hesitate to say I gave ANYTHING my ‘all-out’ because I think everybody has ‘just-one-more-rep’ in them. But I’ll tell you this . . . . after yesterdays WOD I went home, showered, and layed in bed for about an hour before I had the energy to move out to the couch & watch TV. 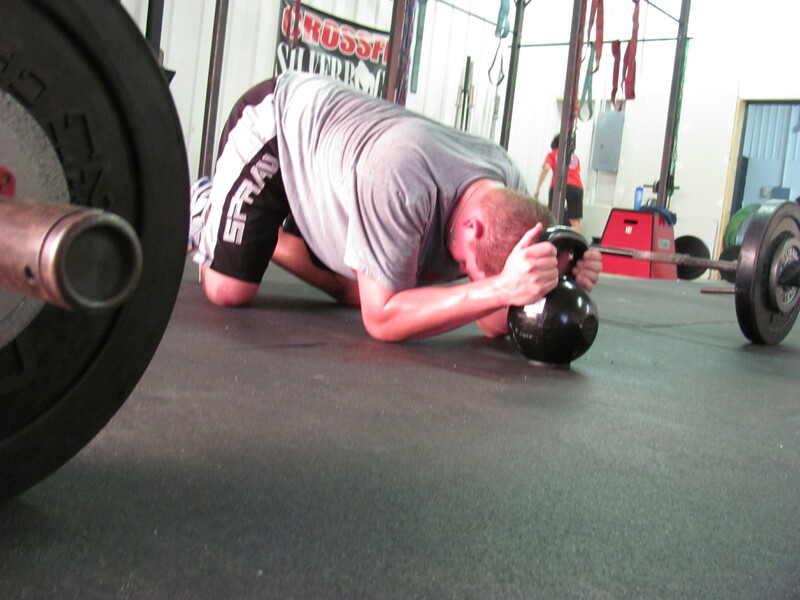 Maybe it was the heat – maybe the WOD; either way I was SPENT. Matt, are still having fundamentals at 7 tomorrow? Betsy and I will be there as well as a new recruit if you will be there.